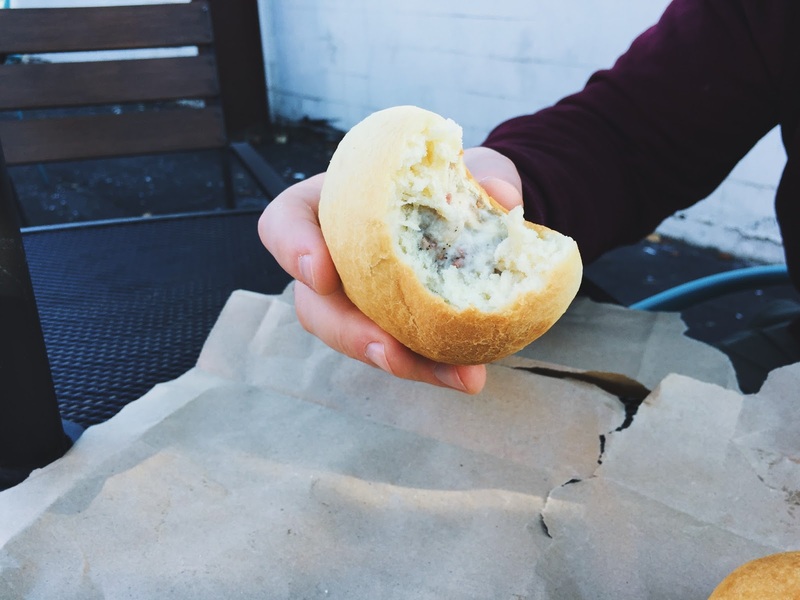 THE GUNTHER GANG: Provo Guide: Hruska's Kolaches. 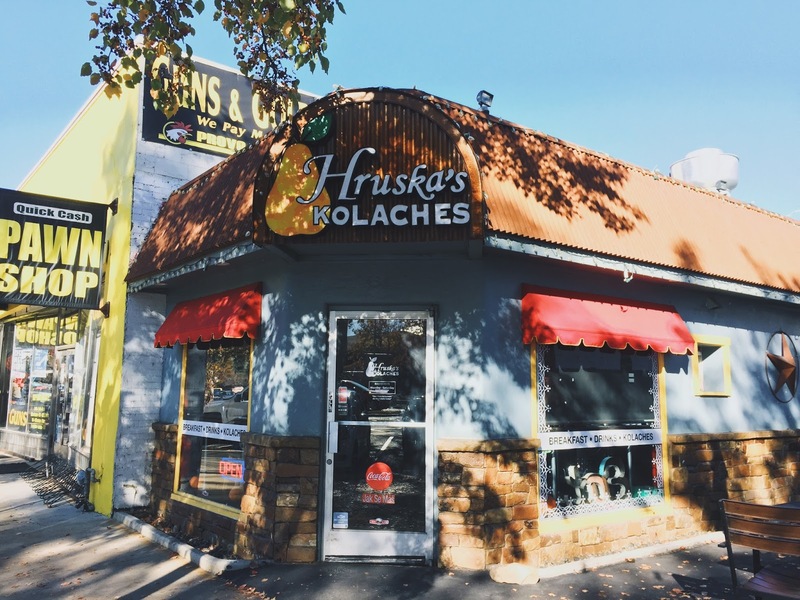 Hruska's Kolaches is a little place on Provo Center Street that specializes in breakfast foods! It's only open Monday-Saturday from 6:30am to 12pm (or whenever they sell out of their Kolaches). We heard good things about it and decided to give it a go yesterday morning for breakfast. First Impression: it's a cute little place! And for how small and obscure it is, it was definitely packed. But the service was quick and the menu was easy enough to understand, so even though it was our fist time being there, things ran smoothly. Food: we actually really liked the food. We shared three kolaches between the two of us and that filled us up. The kolaches are basically really yummy rolls with really yummy stuff baked into the middle of it-- so it doesn't look like much food but it's really filling. We got the Bacon Egg and Jalapeno, the Sausage and Egg, and the Sausage and Gravy Kolaches and really like all of them. Our two favorites, however, were the Sausage and Egg as well as the Bacon Egg and Jalapeno. Overall Experience: we'd give it a good rating after the experience we had! Not only was the food good, but the service was wicked fast! 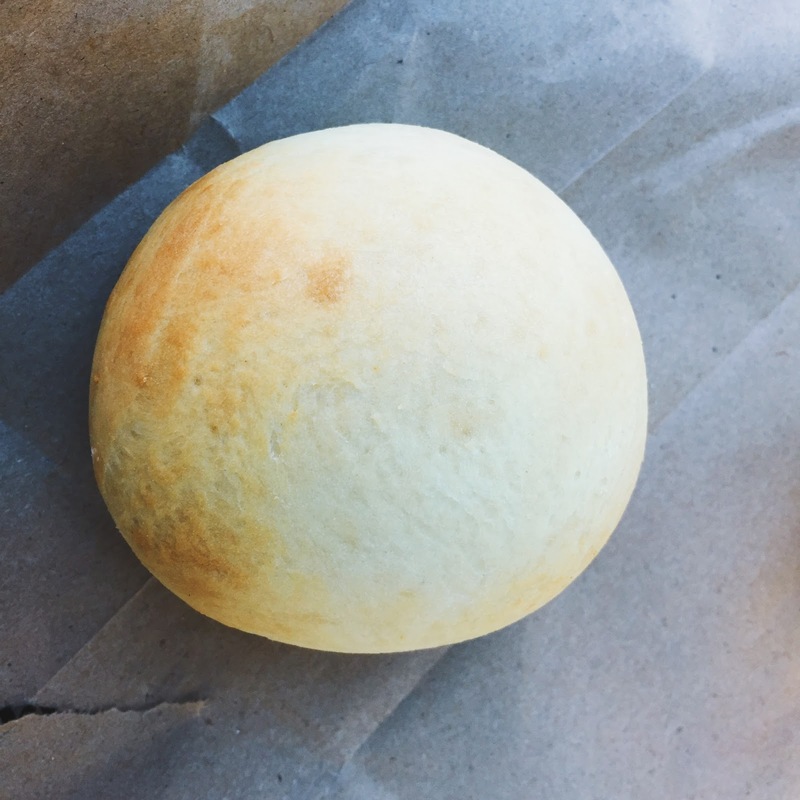 You point to the kolache you want, they hand it to you, you pay and you're good to go. No prep time necessary. Easy and delicious-- what better combo for a breakfast shop? We'll have to try this place out when we are down there on a Saturday morning.